This is the Novarossi PLUS 21-4BTTA TUNED 4 Port .21 Off Road Engine. The PLUS.21-4BTTA includes all the factory tricks and tweaks that are found on the PLUS 21-4BTT, but substitutes the ceramic rear bearing with a high quality steel bearing to provide you with a high quality "tuned" Novarossi engine at a significantly reduced price! 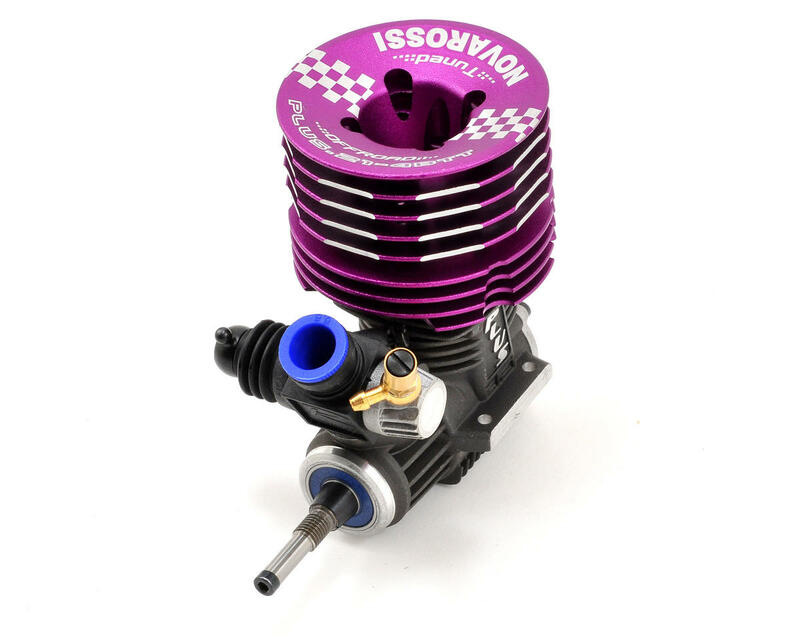 Cooling Head: The 'Lighter & Lower evolution 2' type cooling head has been drilled and milled out to reduce the mass of the cooling head, reducing the Center of Gravity of both the engine and car. 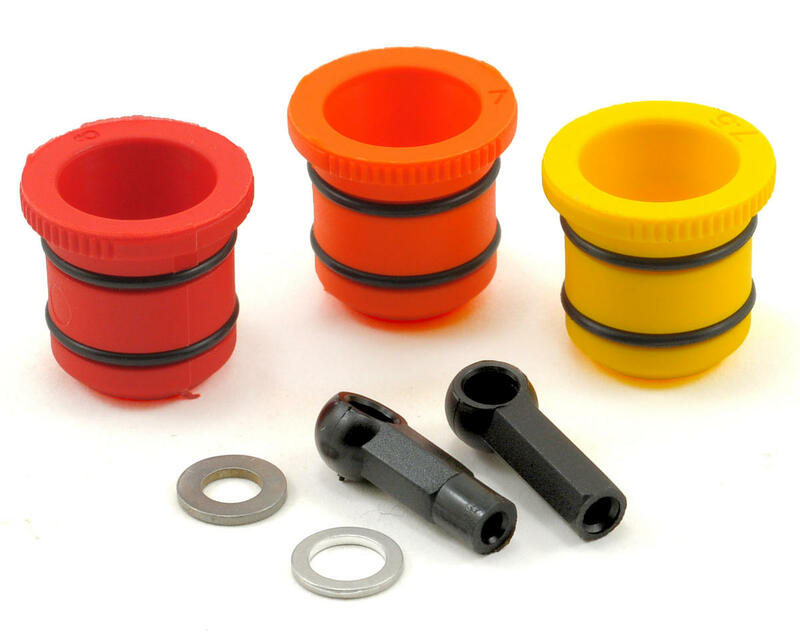 Compression Rings: The ignition timing is controlled with shims that vary in thickness. You can add or remove a shim to alter the ignition timing. The ignition timing is related to the percentage of Nitro in the fuel and the altitude (above sea level) of your model. Conrod: The R7 conrod is made from a super light aluminum which has been ultrasonically tested. The shape of the R7 rod reduces turbulence inside the engine while running. Sleeve: The sleeve has 4 transfer ports, the best compromise to make linear power with minimal fuel consumption. Rear Cover: The rear cover optimizes case volume and reduces dead space. The steel plate reduces friction and extends the lifespan of the conrod. Crankshaft: This engine has been "Factory Tuned". 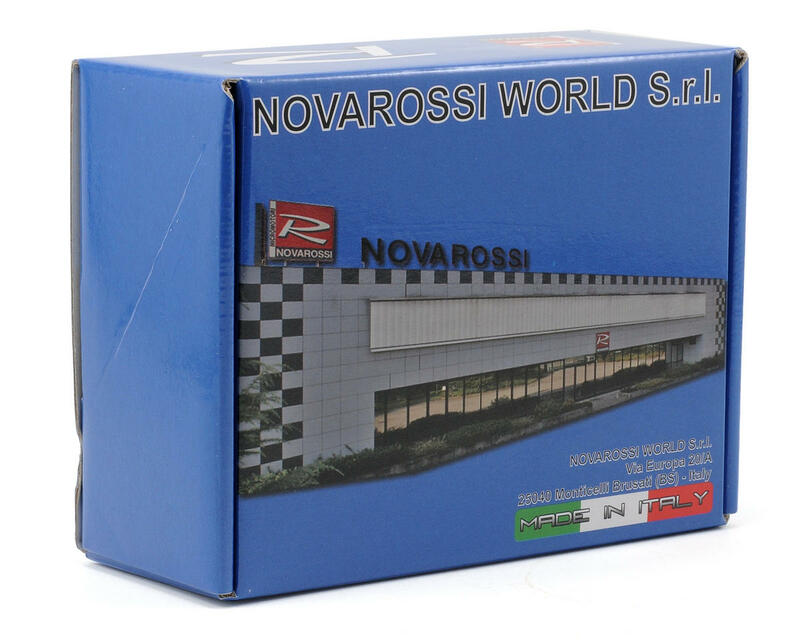 Novarossi has modified the crankshaft to futher improve the power output and driveability. 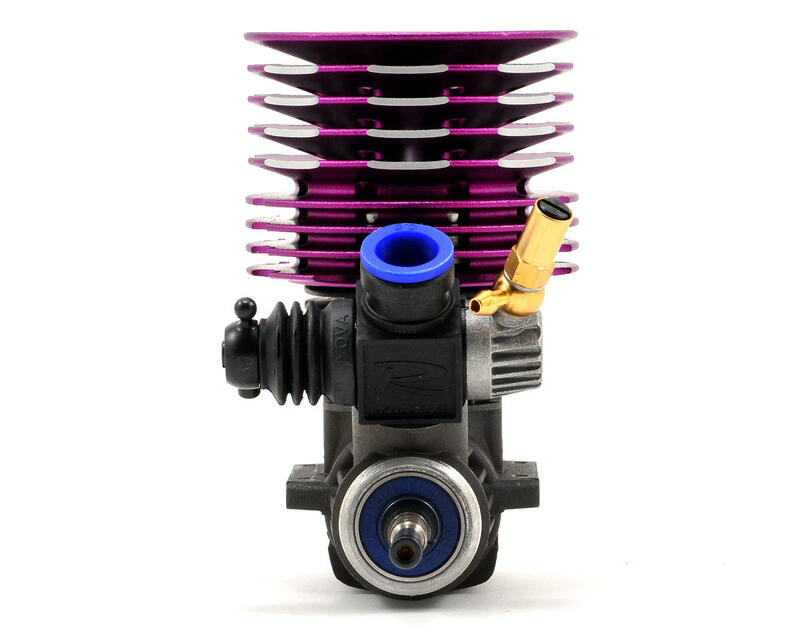 Carburetor: The carburetor is made from plastic, in "reverse" style and has a sliding throttle valve. Glowplug: The glowplug of engine is a Turbo type glowplug. Turbo glowplugs have a different shape than Standard glowplugs and therefor are not interchange able with engines that are using Standard glowplugs! I don't know exactly what they changed from the plus-4 but it looks like the exhaust porting at the very least has been altered and this thing rips from bottom to top. 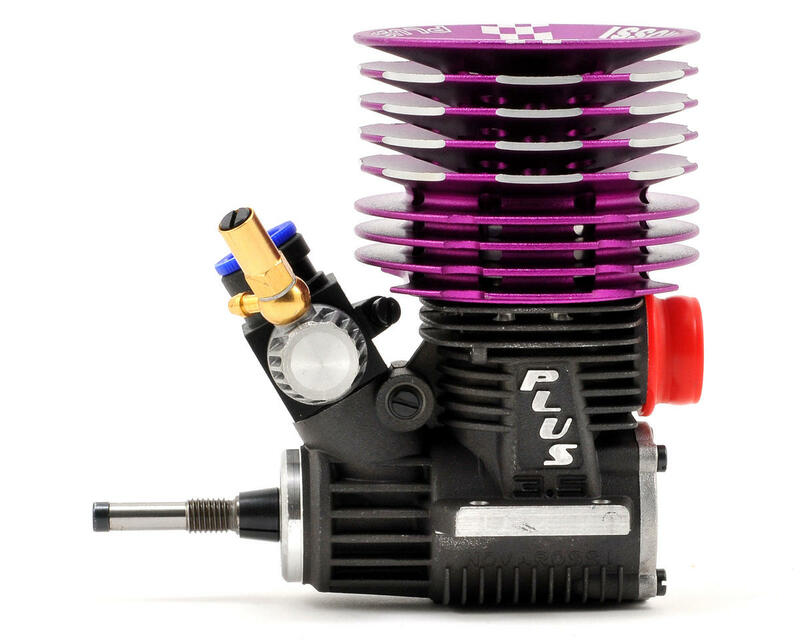 fantastic engine for the price although 300 dollars is not inexpensive. In my opinion this engine excels on medium to larger tracks where top speed is important and a slightly smoother yet powerful power-band is needed. I would still choose the p5 for smaller tracks where instant torque is needed. 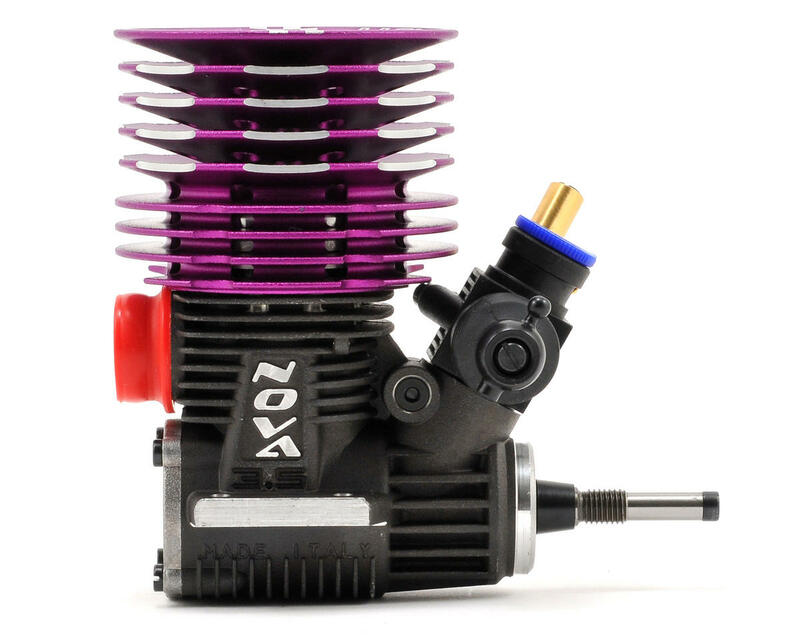 the btta comes with a great dual sealed front bearing that should last forever but the rear bearing has smaller balls even in the ceramic rear btt btts and wc versions and that makes this steel bearing version the best buy overall so a better quality rear protek bearing can be used in the rear at 20 dollars this engine ready to race is $320. Not too bad at all considering it tunes very easily, makes more power throughout the power-band and is a real step up from the aging plus-4. The 9853ss pipe is great on medium tracks or tracks with tough to clear jumps and the 2096 works great all around and makes decent torque with slightly more rpm (smooths out the engine). The 9886 gets the top speed trophy while not loosing too much bottom at all and really shows the full potential of this engine. For headers I like the 41001 or 41005 nova headers. for breakin use a 97t glowplug as the nova plug is a bit cold for breakin. Then you can either run the 97t after breakin or the c6tgc for general temps and the c7tgc in really hot weather unless it's humid then go back warmer on the plug. One last thing. The biggest improvement over older nova engines is the machine work is flawless. When I took this thing apart I was very impressed with the quality of the block for example. finest work I have seen ever.